Adina Goldberger, third-year MD/MPH student and Schweitzer Fellowship recipient. Incarcerated women face a high disease burden and little to no access to healthcare outside of jail. Adina Goldberger, a third-year MD/MPH student, received a Schweitzer Fellowship to develop a health education program to help overcome this issue. Over the next year, Goldberger plans to implement a weekly preventive health discussion with women currently incarcerated at the Cook County Jail. Her project takes a two-fold approach to the issue by first encouraging women to share their own health experiences and insights with each other, and secondly by teaching skills for conceptualizing health in more tangible ways. Goldberger plans to focus on preventive health topics, including cancer screenings, vaccinations and nutrition, so that the women are better equipped to make informed decisions about their health upon release. To ensure the program continues after her fellowship is complete, she is training current M1 and M2 students in the Correctional Medicine Coalition, a recently established student group, to manage the program. “This fellowship is a great opportunity to interact with other students interested in serving disadvantaged populations in Chicago. I appreciate the camaraderie and shared vision of the other fellows in the program,” said Goldberger. The Schweitzer Fellowship, named in honor of humanitarian and Nobel Laureate Albert Schweitzer, MD, is awarded to health and social services students to support the design and implementation of innovative programs to help underserved communities with their health and well being. 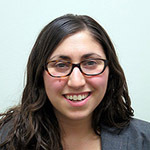 Goldberger is one of 30 Schweitzer Fellows from area universities in a variety of health and public service fields, including medicine, nursing, optometry, psychology, social work, law and art therapy.